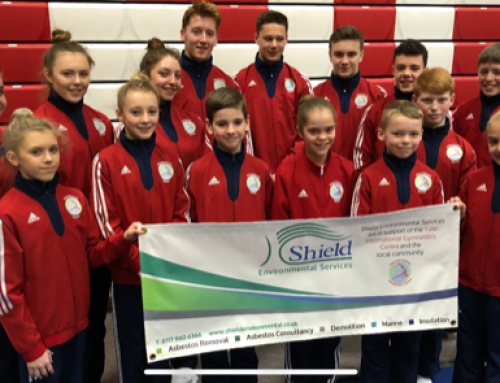 FIFTEEN of King Edmund Gym Club’s elite performers produced a series of sparkling showings in Stoke-on-Trent to ensure the successful South Gloucestershire set-up their best British Acrogymnastic Championships to date. There was the potential of additional prestige for the cream of the King Eddies crop too, as they found themselves in contention for a possible call-up to the World Championships in the Belgium City of Antwerp this April. How the Yate-based athletes fared at the annual domestic event at Stoke’s Fenton Manor Sports Complex was always going to have a bearing on those hopes of experiencing a medal chase on the bigger stage in a few short weeks’ time. So it was all to play for heading into the British Championships – and King Edmund’s 15-strong party certainly didn’t let down. Not least the mixed paring of Finn Cochrane and Kirsten Owen, and the women’s duo of Grace Monchar and Nyree Williams, who turned in “exceptional performances”, in the words of club manager Mark Thorne, to not only acquire 2018 British champions status in 13-19 age categories from their Stoke exploits but put themselves firmly in the Great Britain selectors’ minds for the World Championships. 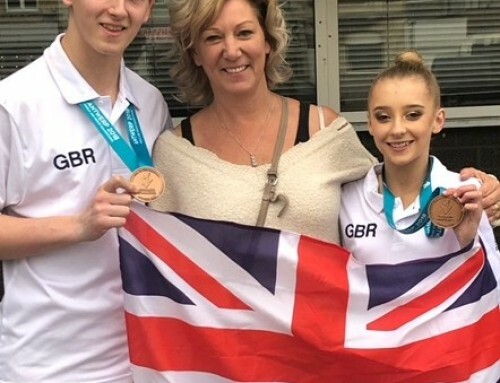 Mark enthused: “Finn and Kirsten had an amazing Sunday in which they attained two very high scores in their dynamic and combined (including balance) routines to enable them to move up from second place on the Saturday and take the overall title. The four were far from alone in returning to South Gloucestershire happily parading medals. King Edmund’s men’s four group of Joel Compton, Ed Haskew, Owen Daniel and Alex Reeve turned in super showings of their own to claim an overall silver, while Alex Basu and Vinny Panetta came in a very creditable third, also in the 11-16 class, for a bronze award. Last but not least, Eddies women’s 13-19 age team comprising Rowan Attfield, Abbie Kirby and Lucy Taylor produced a superb final-routine display to secure silver. 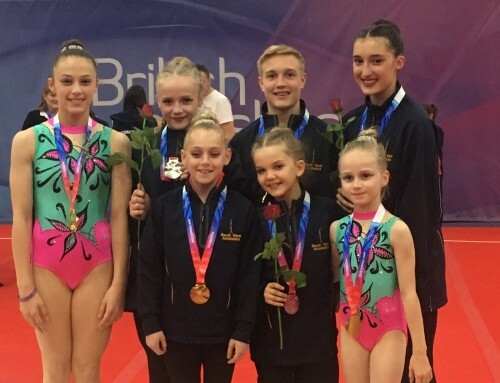 That second-place achievement was matched by the 12-18 mixed pairing of Dylan Howells and Lola Sady, all of which prompted their delighted manager to say: “We’ve had many successes at the British Championships over the years but this set of results certainly made it a club best. “It’s a remarkable achievement when you consider well over 20 of the best clubs in the country are represented at the tournament and that was reflected by the praise we received from far and wide after a very good final day of competition by our competitors.